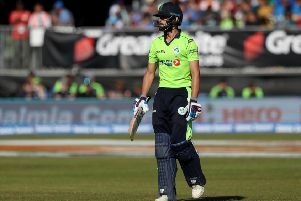 The Ireland Wolves run-chase got off to a poor start losing two wickets in the first over, and struggled to recover from there. A late order seventh wicket partnership of 67 between Mark Adair (43 from 40 balls) and Shane Getkate (56 from 55 balls) put some respectability in the total, however once that partnership was broken the Sri Lanka side cleaned up the tail, with the Wolves being bowled out for 162. 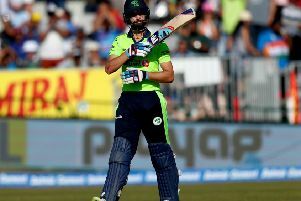 Speaking after the game, Ireland Wolves Head Coach Pete Johnston said: “It was more like home conditions for Sri Lanka today, and after losing the toss it was always going to be challenging batting second. “We played well in parts of the game – with the ball I thought we did well in the middle overs.